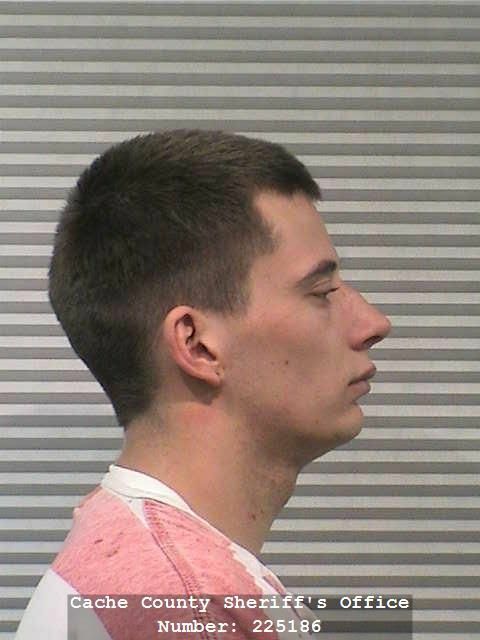 Chaz Redfern, 22, who reportedly escaped from the Cache County Jail Wednesday, July 15, 2015. He is described as a white, male, 6 feet tall and 140 lbs. He has brown hair, brown eyes. He was last seen wearing a long sleeve white t-shirt and dark colored jeans. LOGAN — Cache County Sheriff’s deputies are looking for a North Logan man who escaped from jail last week, after failing to return from a work release program. Chief Deputy Matt Bilodeau said 22-year-old Chaz Redfern was serving a one-year sentence in the Cache County Jail. As part of the sentence, a judge had allowed him to be released during the day to find employment. Bilodeau said Redfern was released from jail Wednesday morning, July 15 for work release but he failed to return to the jail later that night. Redfern is described as a white, male, 6 feet tall and 140 lbs. He has brown hair, brown eyes. He was last seen wearing a long sleeve white t-shirt and dark colored jeans. Bilodeau said a warrant has been issued for Redfern’s arrest. Anyone with information on his whereabouts is asked to contact the sheriff’s office.